We have provided the Young Multipliers and Citizenship and Community Development Agents course since 2013 in partnership with Mãe Terra Institute. The goal is empowering residents of communities where we operate to take the social role in the regions in which they live, promoting community initiatives in these locations. In 2017, 29 new development agents were qualified, of which 14 were trained in Entrepreneurial Management for Associativism and 15 in Marine and Coastal Environments. Investments to meet social demands are also a way to foster the community development to. The initiatives – public or community – or even the emergency needs often require support from Veracel. Although they are isolated and non-structured, these demands are equally important for society. 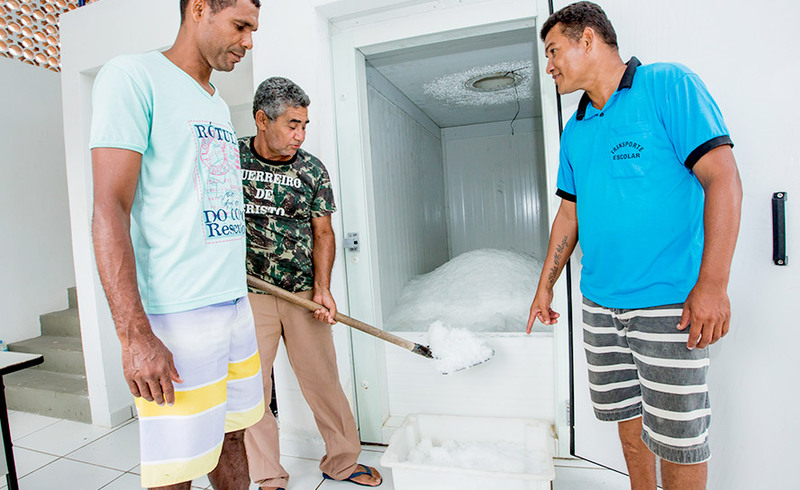 The examples include support to the Fish Farming project in the Coroa Vermelha indigenous community, serving 25 families, and support to the health campaign aiming at the eradication of the dengue mosquito outbreaks and scorpions in the municipality of Eunápolis. 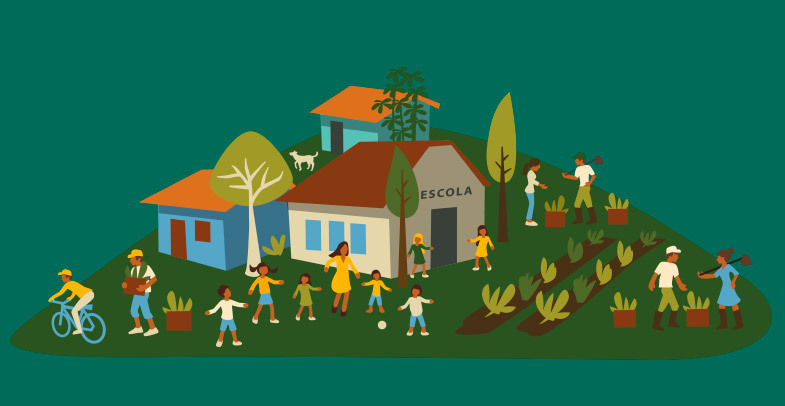 On that front, the work of strengthening and regulation of community associations, in partnership with Mãe Terra Institute, has been central to meet the demands, since the donations cannot be made to individuals. 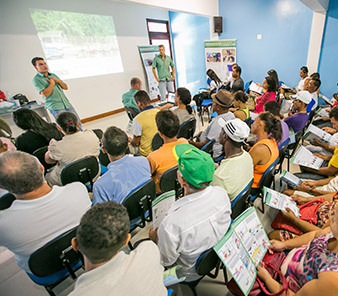 This also contributes to make the access to credit and public policies viable, as is the case of the support given to the Santa Cruz Cabrália Fishermen Cooperative (Copesc) to legalize the cooperative’s documents, which enabled the public notice for fundraising for the construction of the new ice factory. See how much we invest to meet demands and in social projects in 2017 in the “We sum to develop” section. Our initiatives in the indigenous communities intend to keep the dialogue and contributions to the traditional culture preservation. Among our investments, we support the traditional Indigenous Games, participate in actions against the sexual abuse and exploitation of child and adolescents in these communities and donate school kits with basic items for each indigenous student enrolledin indigenous schools. 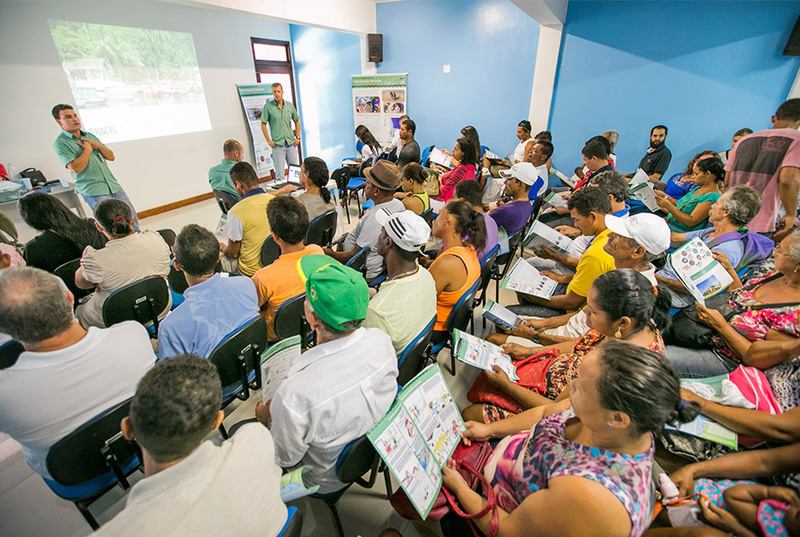 In 2017, 4,600 kits were delivered to 31 communities hosting these education centers in the municipalities of Eunápolis, Cabrália and Belmonte. As part of initiatives to further broaden the dialogue among indigenous communities and Veracel, a unique visitation program for students was created in 2017. For children, the destination is the Veracel Station, and for young people, the tour is the company’s plant. The first visits were carried out in 2017 and will continue in 2018. What has become evident since the first visits is the feeling of empowerment of young people who visit the company. They leave with the clear understanding that, if they want to, they can be qualified and work in a manufacturing environment. We observe a change in the behavior of younger generations. They are concluding the high school, joining college, seeking options of education. When they visit the factory, they have the perception that it is an accessible world. And they come home with this impression”.